Thoughts From My Camera A place to share a few of my photographs. We decided to brave the snow and ice and get in the car to go to Sidmouth. The sun was about an hour from setting and the light was amazing. 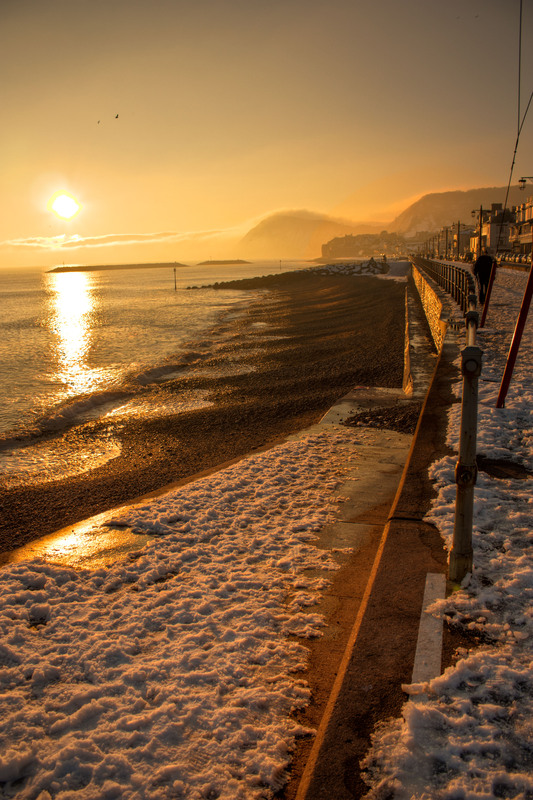 Today is the Winter Solstice also known as Mid- Winter’s Day or The Shortest Day. 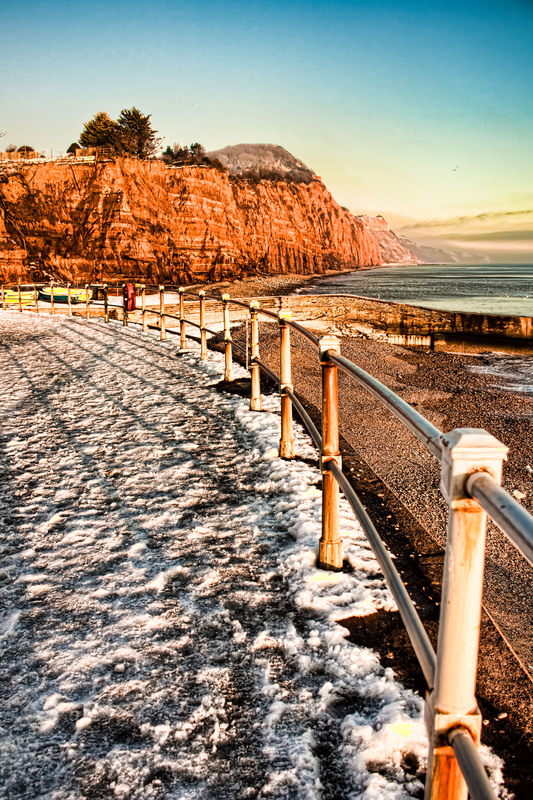 Winter Solstice, Sidmouth, Devon. The mist can be seen coming down over the cliffs in the distance. This entry was posted on December 21, 2010 by Arthur McWerter. 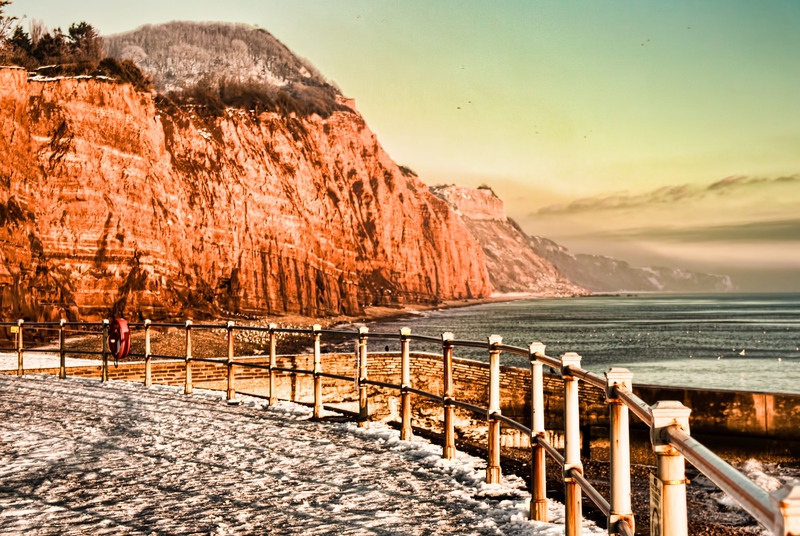 It was filed under Architecture, Countryside and was tagged with cliffs, Jurassic, snow, solstice, sunset. I have loved taking photographs ever since my Mum bought me my first camera when l was about 12. Since then l have used various cameras capturing day to day scenes. Over the years l have spent a small fortune at Jessops processing films so l really welcomed the arrival of digital. I now use a Canon DSLR 450D and various lens. In the past few years l have decided to take my photography more seriously. I am now slowly building up a portfolio and hope to branch out in portrait photography soon. I use Photoshop, Lightroom and Photomatix to process my images. Photography is a great road to travel and l am looking forward to what 2011 brings me.